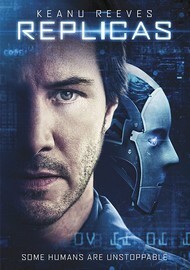 Covertext In this suspenseful sci-fi thriller, Keanu Reeves stars as William Foster, a neuroscientist on the verge of transferring human consciousness into a computer when his beloved wife (Alice Eve) and children are killed in a car crash. Desperate to resurrect his family, William recruits a fellow scientist (Thomas Middleditch) to help secretly clone their bodies and create replicas. When William learns that he can only replicate three of the four family members, he makes a decision with fateful consequences.